After a good workout in the arena today, Enigma KVS kicked up his heels in the paddock. Looks like he's telling us that spring might almost be here! In the first week in January, Kalipso KVS moved into the big barn and full time training. Arie, Dayna and Sara are super excited about this young horse. Kalipso is a 2015 Phin Phin foal, out of our Crusador mare, and currently stands 17.1 hh. Her Xrays and conformation are excellent, and she already shows promise of power and scope. Visit her training page for her move in pictures, and stay tuned for more Kalipso pix and videos in the coming months. We hope to have lots to share! Indiana KVS competed for the first time ever on June 2 and 3, at the Paramount Equestrian “Jump into Summer” show in Calgary, Alberta. On Saturday, in a field of over thirty riders, Indy jumped double clear - placing 2nd in the 0.9 m speed class and fifth in the 0.9 m jump off. On Sunday Indiana and his rider Dayna Stefanuk ripped it up again, jumping clear and placing 2nd in the 1.0 m speed class, and coming 7th overall in the 1.0 m mini prix. Indiana KVS turns five later this week, and is steadily growing in strength and technique. 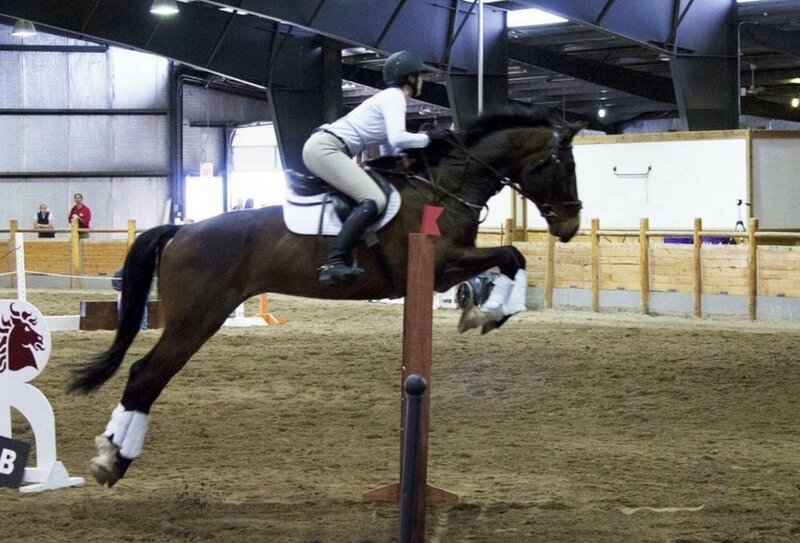 How far and how high can this talented horse go? On Sunday March 18, Icarus and Indigo left KVS for their new home with Holly Franklin in Saskatoon. It's bittersweet to have two beloved and beautiful young horses leave, but everyone at KVS is happy to see them go to such a great home. 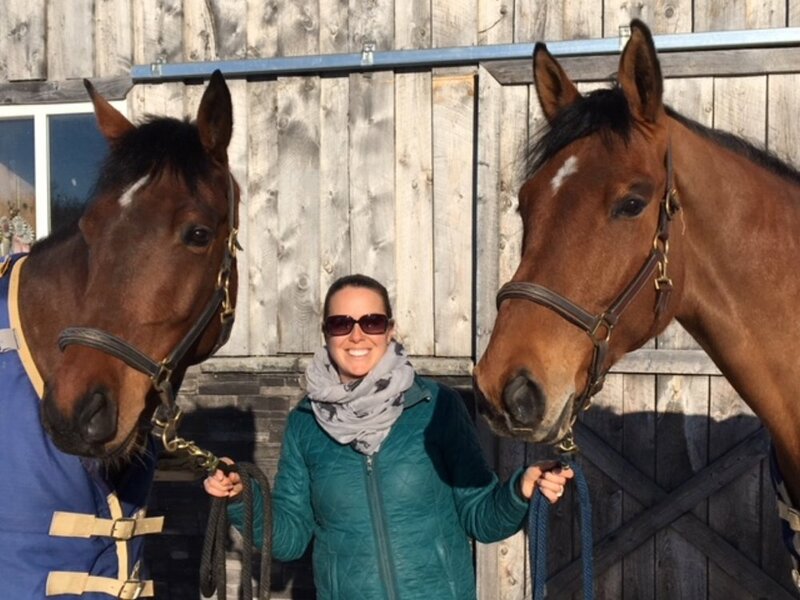 Holly is an experienced rider, teacher, trainer and equine therapist, with exciting plans to further develop both horses. It will be great to see them flourishing under her care, and we look forward to what the future will bring for both Icarus and Indigo. The newest addition to KVS Sport Horses showed up just in time to help ring in 2018. Nitro joins Lucy and Phinnie as the resident hounds, keeping Enigma, Indy, Icarus, Indigo and Jack company most days in the big barn and riding arenas. Nitro arrives in Alberta from Illinois.